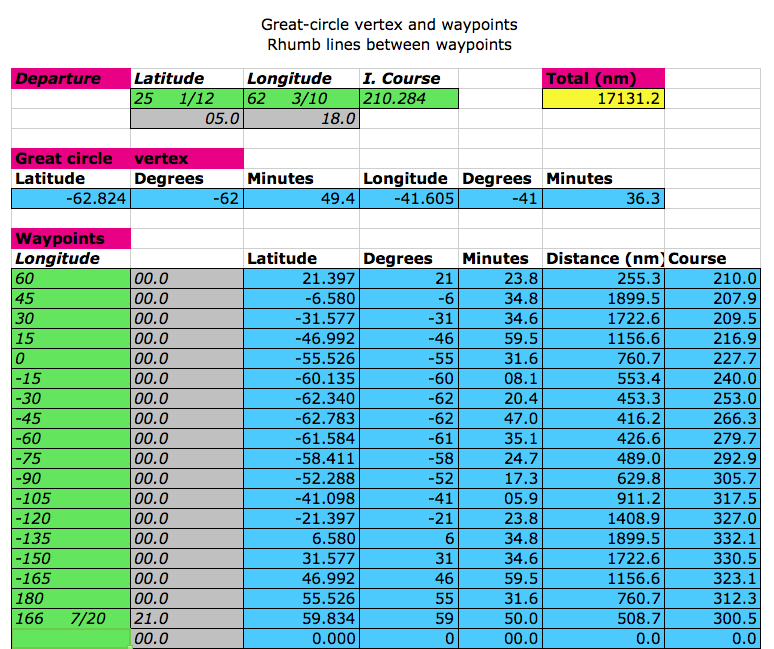 At the fifth anniversary of our website’s launch we review some of Navigation Spreadsheets functions. 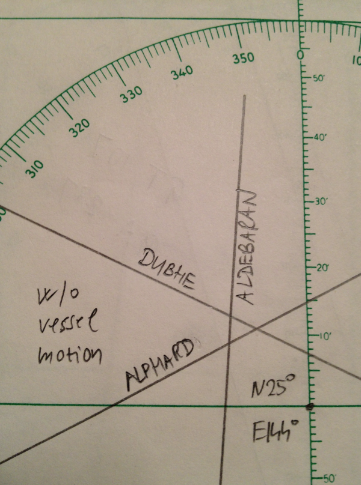 All three examples are taken from the 2014 Nautical Almanac Commercial Edition. 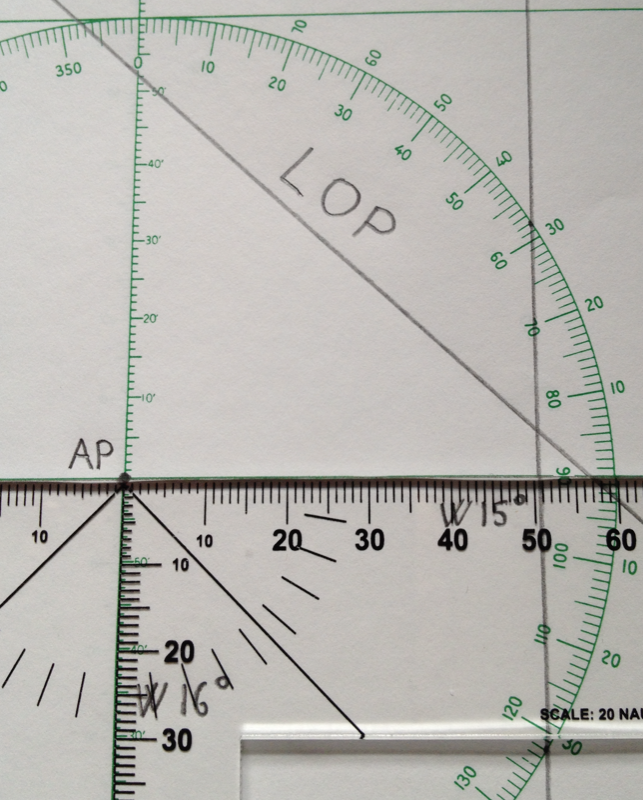 to which we add Ho = 30º 30.0’ in order to allow the calculation of the intercept and the plotting of the LOP. 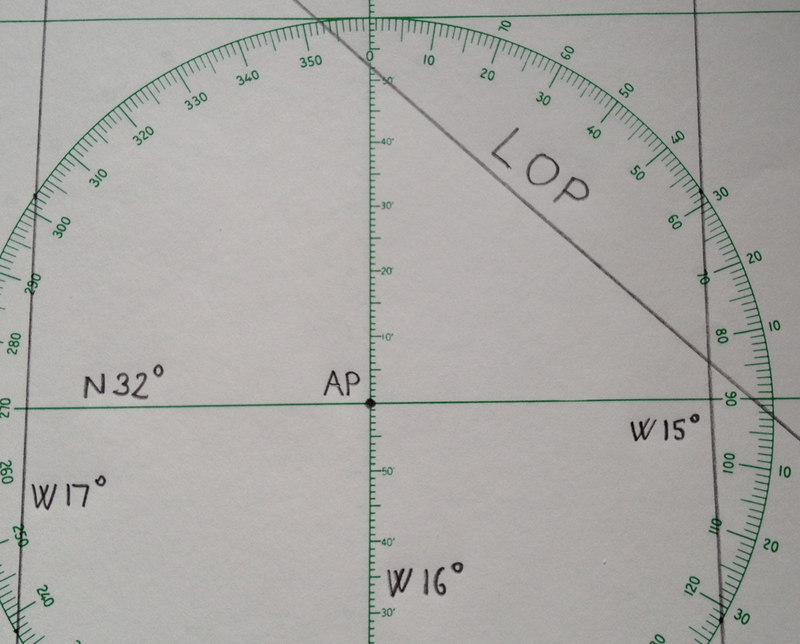 The resulting LOP (intercept 38 NM away, azimuth 223) is plotted with the T-Plotter. 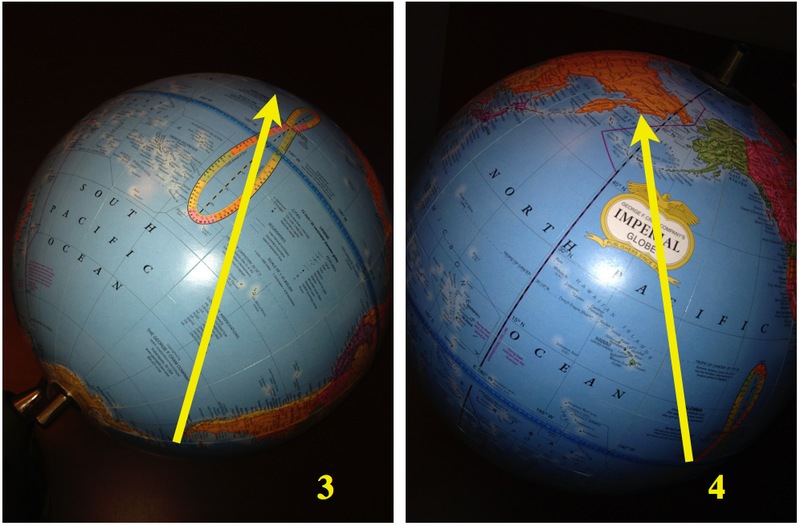 If you have a globe handy, check it out! For additional details see this post and the entire thread. There are several methods to advance or retard LOPs in time (see, for example, running fix). 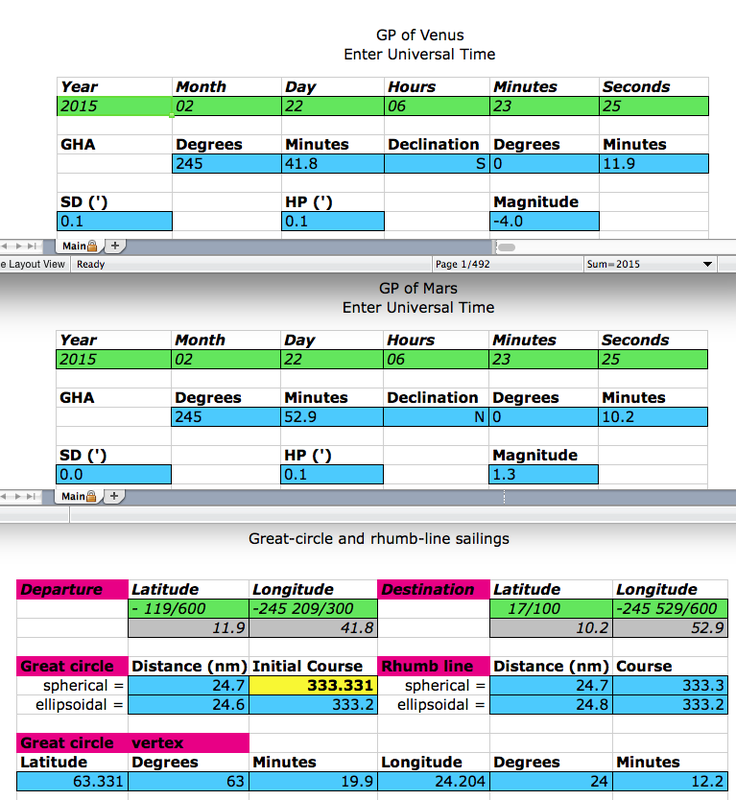 In this plot the LOPs were shifted by recalculating their intercepts with the formula presented by Gary LaPook ( change ~ time × cosine( azimuth – course ) ) and implemented in spreadsheet alt_move.xls. 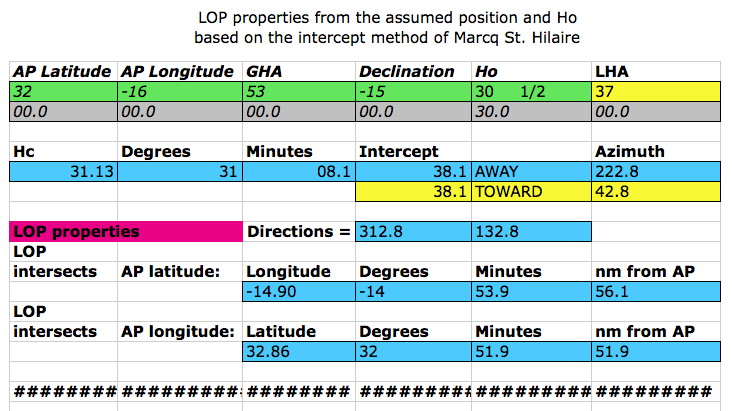 In the following illustrative calculation of Ho adjustment, the distance traveled is DR = 1 mile, the course and azimuth differ by 60º, therefore the Ho (and, in the end, the intercept and LOP location) changes by 0.5′ ( = 1 mile × cos 60º ). 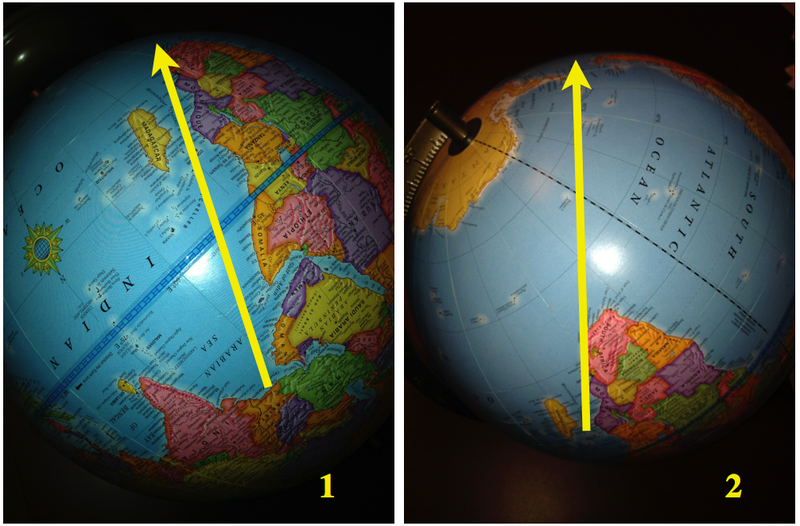 A meridian transit observation allows the determination of latitude by simple arithmetic – spherical trig is not needed in this case. 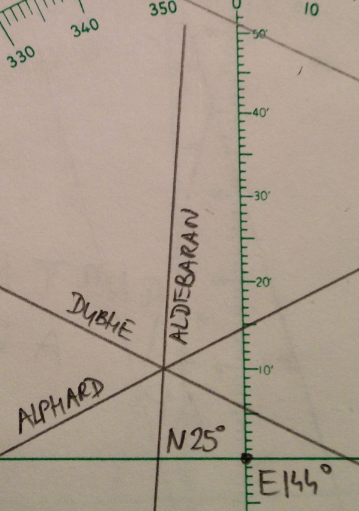 For example, a noon altitude of 40º (i.e, zenith distance of 50º) of the sun with declination of S 20º observed due south from the northern hemisphere translates into latitude of N 30º (= -20º + 50º). 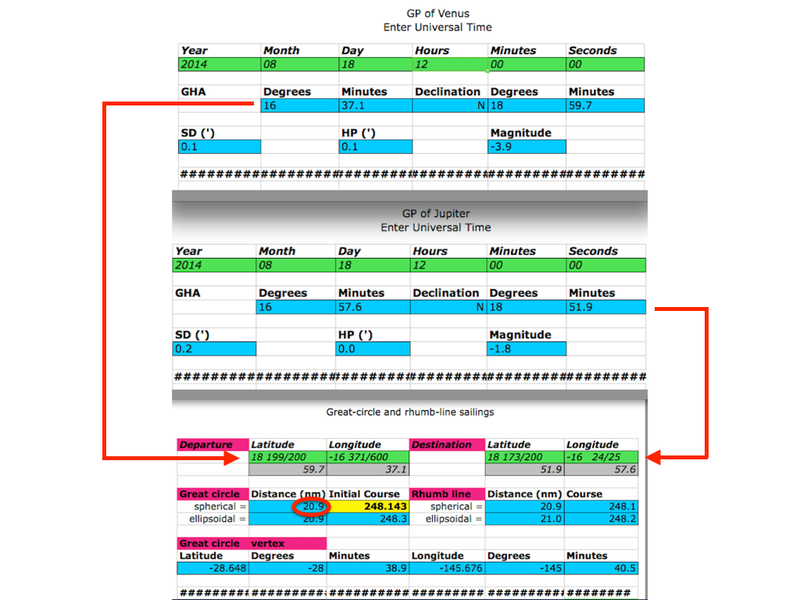 If, however, this altitude was observed not quite at the time of local apparent noon (LAN) but, say, 10 minutes before or after LAN, then this observed altitude is slightly less compared to what it otherwise would have been, had it been measured at LAN. 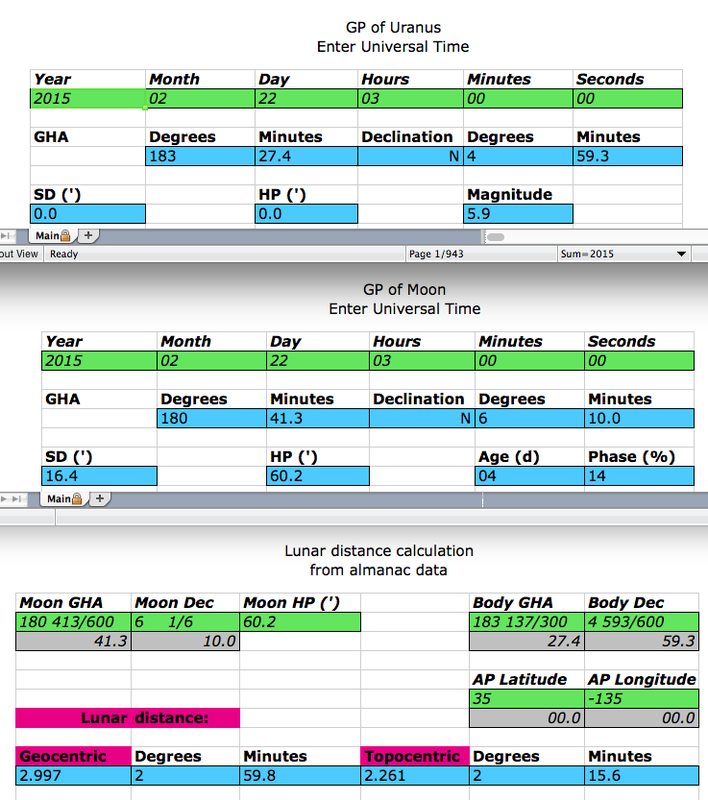 As a result, in our example, the LAN zenith distance is lower than 50º by a certain small amount, which means that the latitude is N 30º minus that value. 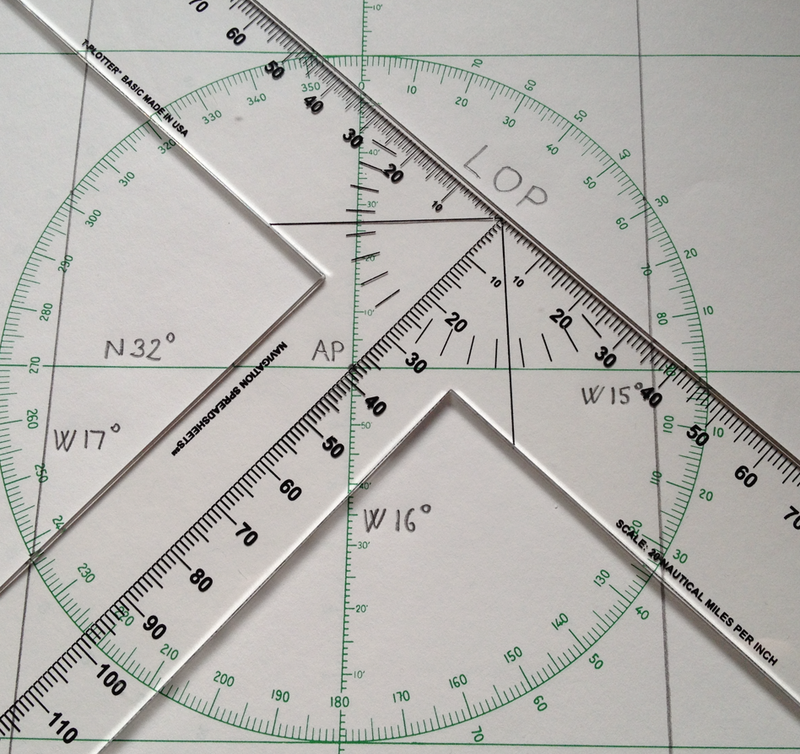 In cases like these it is still possible to avoid a more complicated calculation with the use of Bowditch Tables 24 and 25 to compute this small correction. 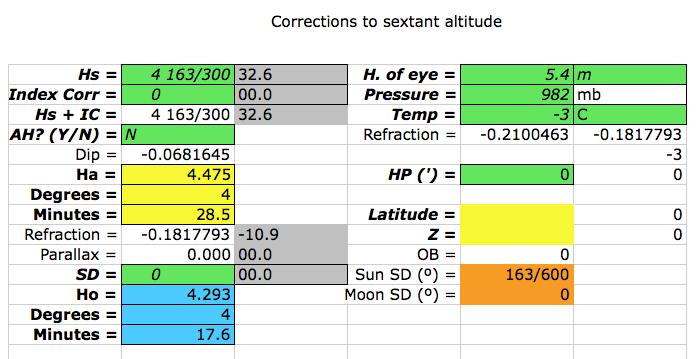 Alternatively, one might use the ex_meridian.xls spreadsheet to find that, in this example, the correction amounts to 3.5′, resulting in latitude of N 29º 56.5′.